Osaka Group was established in the Year 1981 and has been at the forefront of business activity for the last 31 years. Osaka Rubber Private Limited has historically been engaged in manufacture of Rubber Components for the last many years. 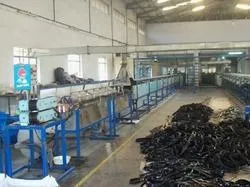 Osaka Rubber manufacturers EPDM Rubber Profile and caters to the sealing products requirements of the Following industries: Automobiles, Constructions, Bus Body Builders, Aluminium Fabricators, Shipping, Railways, Engineering, and Insulated Glass Units etc. 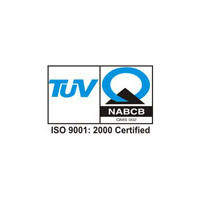 In the year 1995, the Company diversified in the manufacture of Butyl Sealants Tapes, Mastic Tapes, Vacuum Bag Tapes / Tacky Tapes which, in fact, its major product line today with emphasis on Quality and Technical Developments. The company produces wide range of Sealants mainly Butyl Rubber Sealants Tapes for various applications such as : Automotive, Constructions, Telecommunications (D.O.T), Roofing, Composite Products, Cable Jointing Kits and Wind Mill Energy. We offer our products to our valued customers at an affordable price and we timely introduce new beneficial schemes for our customers. We are congregated by an educated and well talented team of professionals who look after a number of assignments in our premises. Our team members are extremely proficient with the trade policies of the company. They carry our fair marketing techniques that help them take improvising decisions and necessary steps that are helpful in taking the organization to eminent heights. Under the valuable guidance and constant motivation of our Director, 'Mr. Vinay Singh', we have been able carve a unique niche in the domestic & international markets. His brilliant management skills, vast industrial knowledge and experience have helped us in winning the trust of our worldwide clients. High resistance to ageing, oil chemicals and weather. Dimensional accuracy and mechanical integrity. 3. High finis and high durability. Use of highly intensified synthetic fibers results high tensile and long time use. High resistance to cold/ heat & wide temperature variation. We follow stringent quality control in all stages of manufacturing process. We take special care to process raw materials to ensure that the finished products retain the desired characteristics of the raw material. All the finished products undergo rigorous quality tests in our advanced laboratory that consists of major testing equipments like Tensile Strength Testing Equipment, Climatic Control Hot Air Oven, etc. Research, Innovation and Development are the basic objectives we pursue to provide any kind of customized products within schedule. We have a well qualified & experienced R&D team ever-engaged in quest of new technology & innovative products. Our researchers document their finding that becomes the basis of development of highly innovative & customized products. In the year 2004, we incorporated a new company M/s. 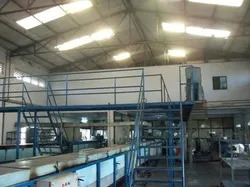 OSAKA RUBBER P. LTD With a state of art plant located at Palghar (East) district - Thane. ORPL manufacture Extruded and Molded Rubber Products and Butyl Sealants Tapes under one roof. This company is running by a team of experienced personnel in the management and production line in order to ensure our valued customers are receiving excellent sales services, quality products and technical support with full satisfaction. We have stringent quality control in our manufacturing and hence guarantee of consistency in quality for the each lot we supply. The company has state of art Laboratory which has major testing equipment like Tensile Strength Testing Equipment, Climatic Control Hot Air Oven, Specific Gravity to name a few. Management mantra is to have a holistic approach to all aspects of the business. an experienced team at the helm infuses a total sense of professionalism. therefore, while the R&D team works towards further improvement and innovations, the Marketing and procurement teams provide valuable information and insights, which are factored in the R&D trials. the trials are thoroughly documented for future reference. as for services, we are at the disposal of clients for any after sales and technical assistance. we encourage feedbacks from clients and accept suggestions, as we believe there is always room for improvement and more innovations. Our superior products are available at reasonable prices. We are open to your suggestions to improve our products. Sample is available on request.